Some bacteria use tails, or flagella, to swim through liquids – including those in our bodies. However, new research published today in PLOS Biology reveals a surprisingly drastic measure taken by some bacteria when facing starvation: they eject their flagella, leaving themselves paralyzed, but conserving energy so they can stay alive. The serendipitous discovery was made when the team were collecting detailed images of the ‘motors’ that drive flagella in a group of bacteria that includes various harmful species, including Vibrio cholerae, which causes cholera. Bacterial use their flagella to get around, even swimming through thick gut mucus as in the case of food-poisoning bacterium Campylobacter jejuni. 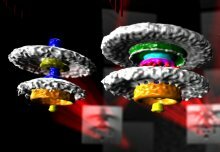 However, flagella are costly to build and power, and constantly grow throughout the bacterium’s life, using up a lot of resources. 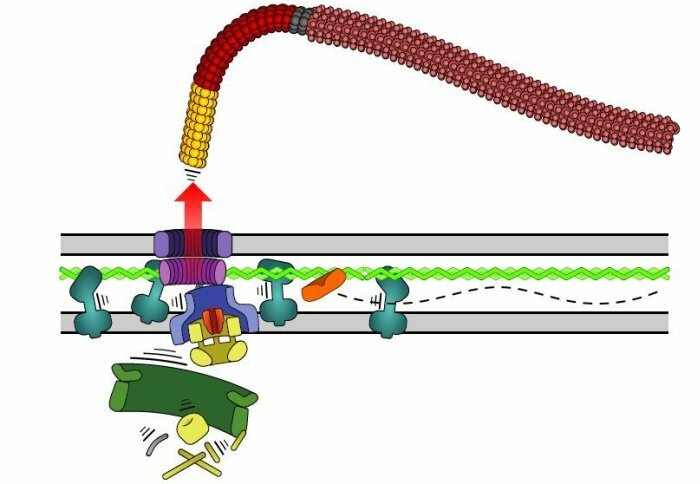 ‘γ-proteobacteria eject their polar flagella under nutrient depletion, retaining flagellar motor relic structures’ by Josie L. Ferreira, Forson Z. Gao, Florian M. Rossmann, Andrea Nans, Susanne Brenzinger, Rohola Hosseini, Amanda Wilson, Ariane Briegel, Kai M. Thormann, Peter B. Rosenthal, and Morgan Beeby is published in PLOS Biology.